A sax or saxophone is a single reed, woodwind instrument used in many musical styles including; Orchestral, Opera, Band, and Jazz. It was invented during the 1800s by Adolphe Sax, a belgian musical intrument maker living in France. 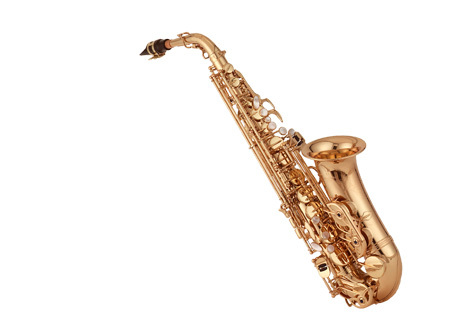 Today there are 6 sizes of Saxhophones, — the sopranino, soprano, alto, tenor, baritone, and bass saxophones. Generally, the smallest instrument is the sopranino and the largest is the bass. 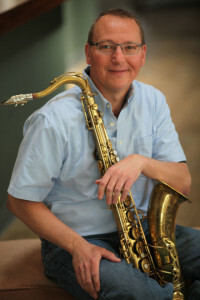 Scott Shiever is the Saxophone instructor at SMCM. He began playing clarinet at age 12 and started playing saxophone and flute at age 15. He attended Mesa Community College and the University of Nevada Las Vegas where he played numerous professional engagements. For five years, he played woodwinds on various ocean liners for star acts such as Shirley Jones and Ben Vereen, as well variety acts to numerous to count. Scott enjoys teaching and has been with the conservatory since 2012.